Since it is still February, I decided to close out the month with a zinger. The first card is the special valentine that Cammie made for me and the second is the one I made for her .. I thought it was funny how similar but different the cards were. Neither of us knew that the other was making the card. 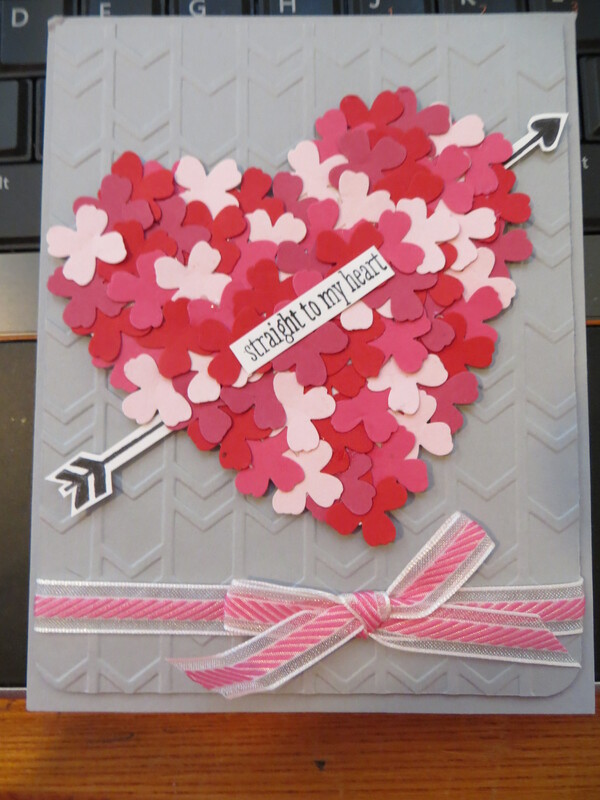 Both cards used the Stampin Up Hearts Framelits #125599 and then used several shades of pinks to punch lots of flowers from the Itty Bitty Accents punch pack #133787 to embellish the heart. Cammie added a stamped arrow and sentiment from the now retired Stampin Up Straight to the heart stamp set and I kept my sentiment to the inside. For my card the heart was cut through the heart layer and the card base to reveal the embellished heart and sentiment on the inside. We both textured the front of the card using Stampin Up folders (Arrows #132187 and hearts #137364) to complete these cute cards. A great big birthday shout out to our beautiful niece, Alexandra who turns 20 today. I made her a simple card using the Cheerful Critters photopolymer stamp set #137932 from the Stampin Up Occasions catalog. I simply love the I like your Face message to send a happy birthday message to a young lady no longer in her teens. The chick was colored using an array of Stampin Up blendabilities markers. These markers are a great way to add color to effects to projects. Each alcohol ink assortment includes 3 markers (a light, a medium and a dark) that make blending and shading a snap. As a bonus, you can earn free Blendabilites Marker sets for free during the annual Stampin Up Sale-a-bration campaign on going now thru March 31st. Starting March 1st, Stampin’ Up! will add four new choices to the list of FREE gifts from which to choose during Sale-A-Bration (an exclusive free gift for every $50 you spend, before shipping and tax). Take a peek at the Sale-a-bration catalog and learn more about the Stampin’ Up! Sale-A-Bration Promotion. Sale-A-Bration ends March 31. Also be sure to check out this the weekly deals that Stampin Up offers. This week’s deals run through March 2nd and can be used to earn the $50 needed for a free Sale-abration offer. I had a friend that recently got married and needed a cute way to gift wrap her gift. 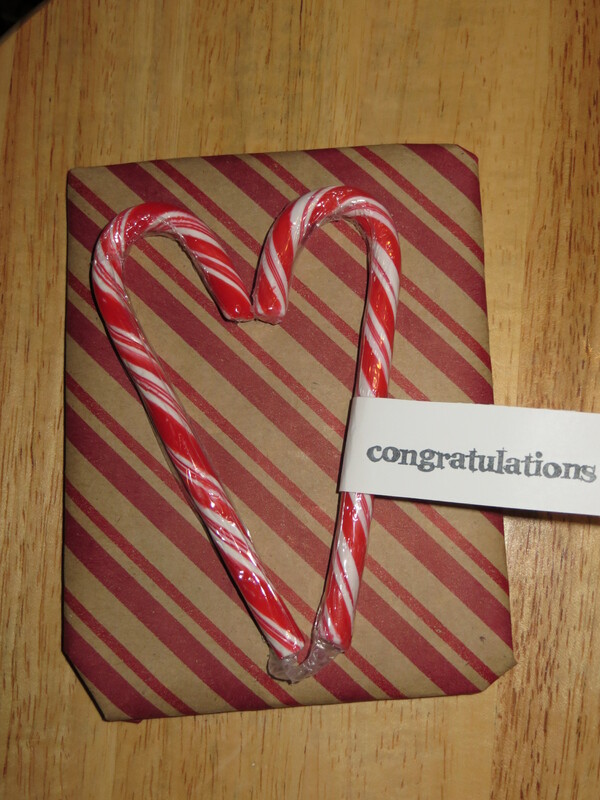 I used the fabulous wrapping paper from Stampin Up holiday catalog (no longer available) and I found 2 left over candy canes to form the heart and added a banner with the congratulations sentiment. So cute. Well, it is already the 25th of the month again and as promised, I am posting a Christmas card. 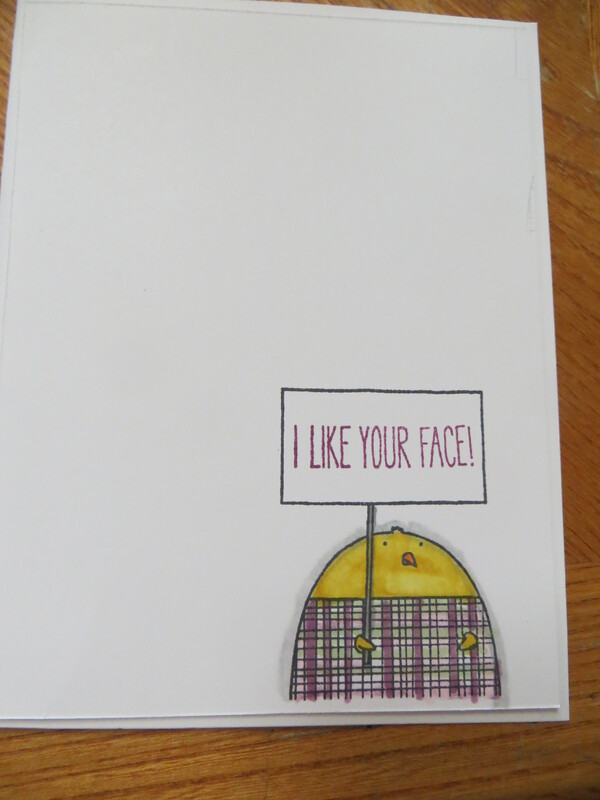 This card is completely appropriate since we have had a cold and snowy February in Ohio. The snowman is way happier than most of us that are frozen cold and over all the snow. 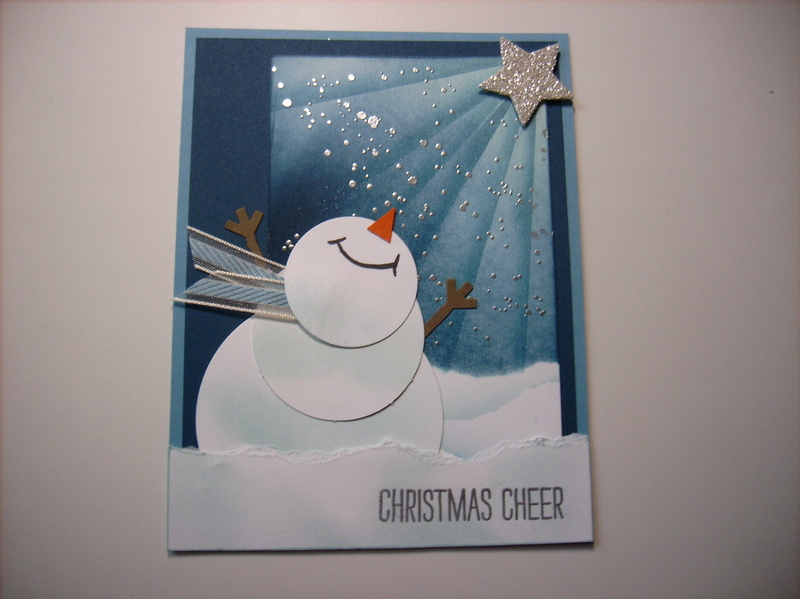 Never the less, Cammie made a beautiful brayed sky and than added an adorable Snowman using Stampin Up circle punches and a torn snow mound. Hope this card inspires you to warm up and get a jump start on your Christmas cards. 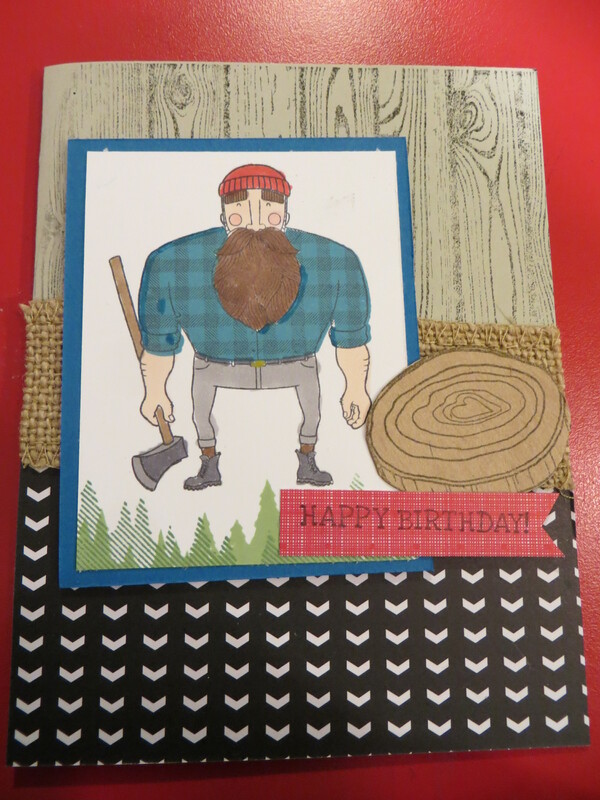 I bought the Stampin Up Wood you be Mine polymer stamp set #137134 specifically for the masculinity of the lumber jack. So since I needed a masculine birthday card for my brother in law’s Davids birthday tomorrow I made it work. 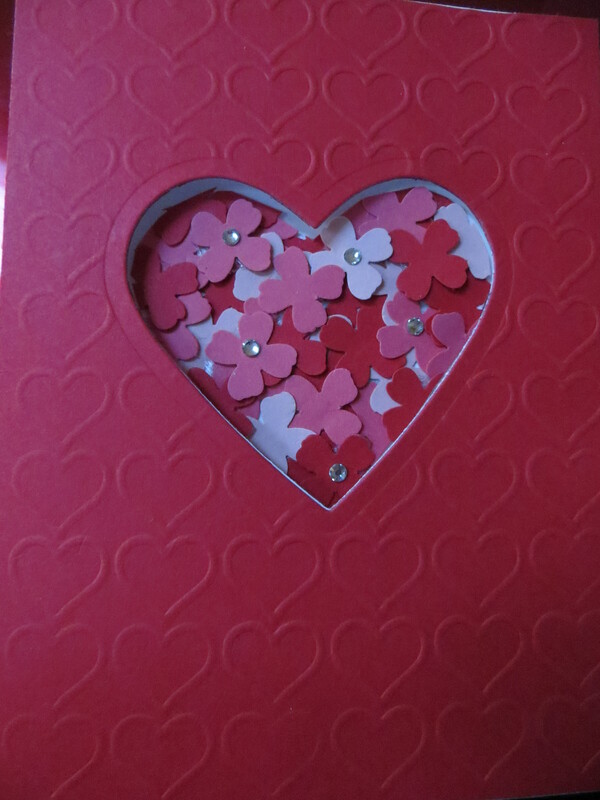 I had the left over parts from what I wanted to do for some valentines so I decided to use it to make a birthday card by simply just not adding the valentine sentiments included in the set. For the background I used the Stampin Up Hardwood #133305 background stamp and then layered it with a piece of DSP from the Stacked with Love DSP paper stack #137779 in the Stampin Up occasions catalog. I also added a piece of the rough and tough Burlap Ribbon #132140 and a hand stamped and cut out tree stump. 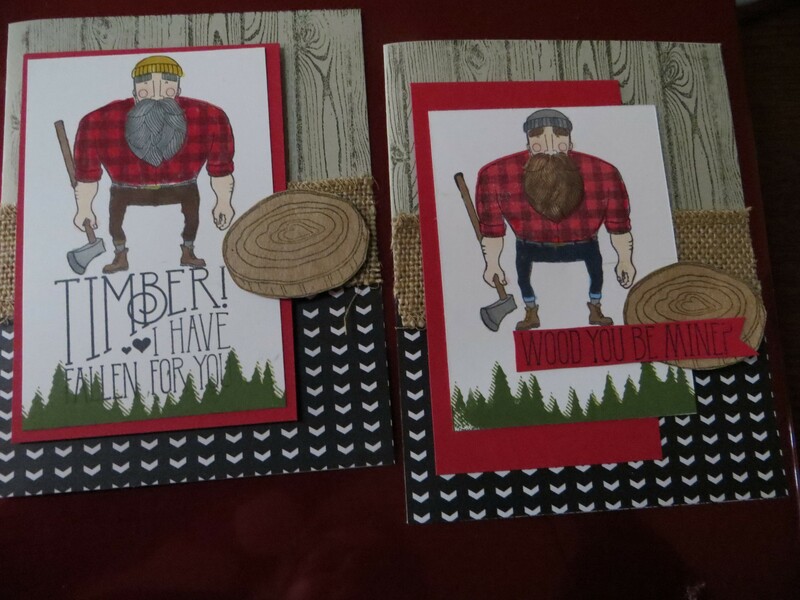 These are the 2 masculine Valentines that I made using this set. 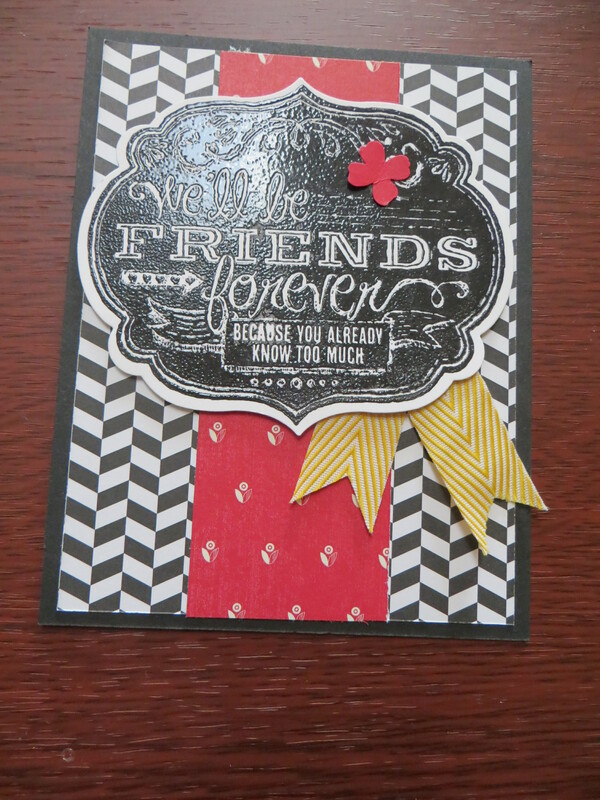 It is fun to look beyond the stampset to use it for other than intended and in my case it was just swapping out the sentiment. Here is a great big Birthday shout out to my friend Belinda, who I have been known and been friends with since the 5th grade. Knowing someone that long, I found it only fitting to post a card using the Stampin Up Friends Who Know single stamp #134081. This stamp is perfect for life long relationships and pairs perfectly with the Stampin Up Labels Collection Framelits #125598. For the background paper is from 2 different Stampin Up DSP paper collections in the current annual catalog – Back to Black #133700 and Flashback #133699. I added a piece of 3/4″ crushed curry Chevron ribbon snipped to form a banner. Using a bright color scheme and quilted look.